Hello and a very warm welcome to my stop on Pat’s mega fun book tour! 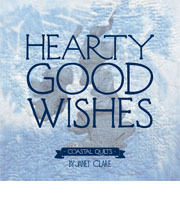 I’ve known Pat for a few years now and she is one of the kindest, generous, supportive and encouraging quilters I know. Pat has written another (her 33rd!) 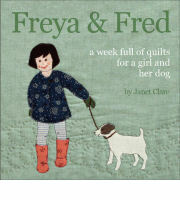 book which sets out to teach us all how to machine quilt. 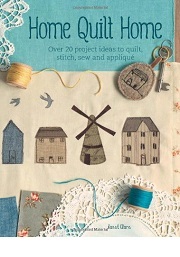 Even if you have been happily machine quilting for years this book will still teach you a thing or two, and if you’re just starting out do yourself a favour and get yourself a copy! 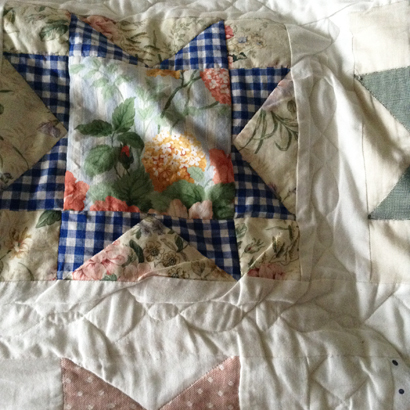 I thought you might like to see my very first attempt at machine quilting. Far from perfect! 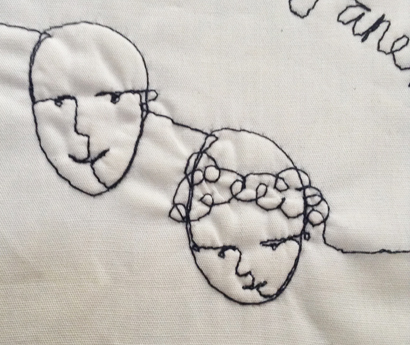 But, I enjoyed every stitch and I have a warm and beautiful quilt to sleep under. Just remember we all have to start somewhere and perfection is vastly over-rated in my opinion! Nowadays free motion quilting is my favourite! 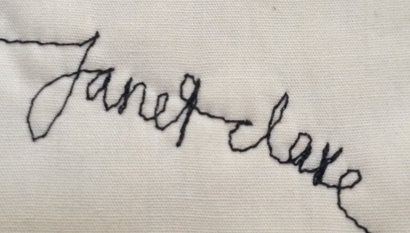 I love to write and draw with my sewing machine. Pat has a great chapter on free motion quilting which is easy to do, and needs minimal special equipment (just a darning foot) but requires lots of practice and patience. Practice and patience- the answer to pretty much anything. Sarah Maxwell of homesteadhearth.com/ Visit designsbysarahj.wordpress.com/with a Giveaway! and then pop over to Pat herself for your chance to win a copy of the book. Thank you for being part of my book tour Janet!!!! I’m glad I’m not the only one just starting out machine quilting. I can’t wait to see my first throw quilt done. I say I’m starting on small items, but haven’t done many designs. 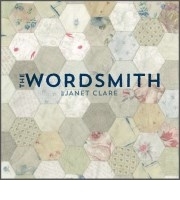 I REALLY need this book!